Little Lady is turning 4 in just about 2 weeks. I know it’s cliche but I cannot believe how fast she is growing up! Amidst all the Christmas hustle and bustle we are prepping for her party just after the new year. I am loving that she is so involved in planning, making, and decorating with me this year. She chose a winter theme with penguins and snowmen and lots of sparkle. I love the theme and also love that next week I can pick up Christmas decorations on clearance for the party. 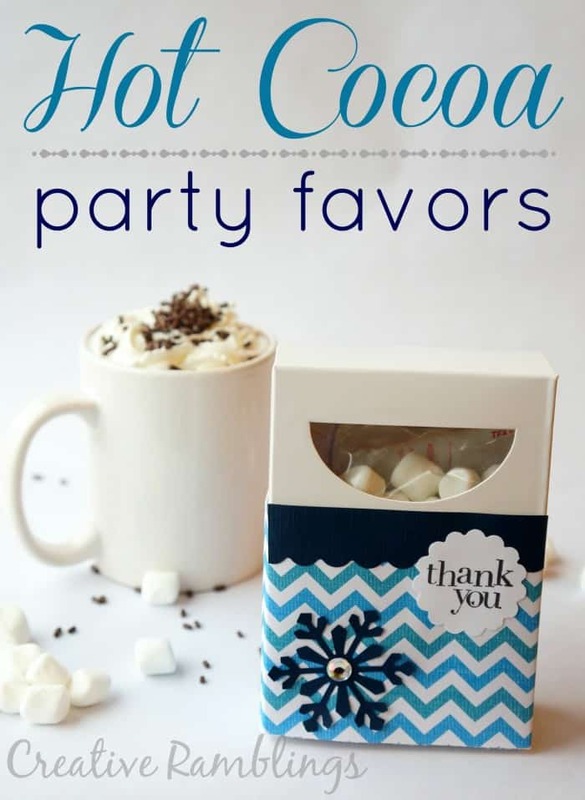 Today I’m sharing the hot cocoa favors we are giving to our party guests. I ordered these crayon boxes a couple of weeks ago from Pick Your Plum. They fit a packet of hot cocoa perfectly. I pulled a variety of blue paper and some winter embellishments out of my craft stash. 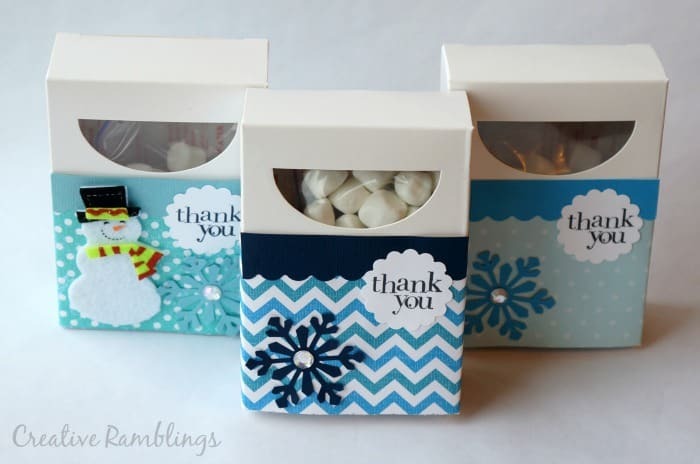 I wrapped the boxes in paper and added snowmen, snowflakes, rhinestones, and a little thank you stamp to each box. Then I put a packet of hot chocolate in the box, followed by a snack size bag of mini marshmallows. We made enough for the kids (big and little) and a few extra for the adults. I am not a fan of giving or receiving elaborate treat bags at birthday parties. My kids don’t really need more stuff, and I hate to fill other kids homes with penny trinkets. We have given some kind of edible treat as a thank you gift each year and they have always gone over well. Do you give favors or treat bags at your kid’s parties? If so what’s in them? Oh my goodness!!!! These are so very adorable. What a great idea! Thank you so much Bethany. What a great idea. Pinned for later. Thanks for the printable. That’s so cute!! Love the idea. I do treat bags, it is easier when it’s a kids party with same age kids because all kids can get the same treat bag. But harder when its the family party and kids are all different ages. Thank you, and yes I agree, if all the kids were Little Lady’s age it might be a little easier. Such a cute idea! Def pinning. I love how adorable these are!! Super cute! 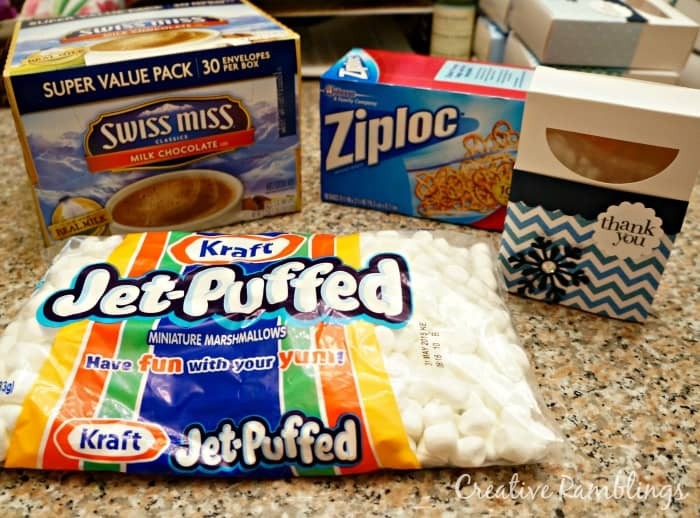 These hot cocoa birthday favors are so super cute! 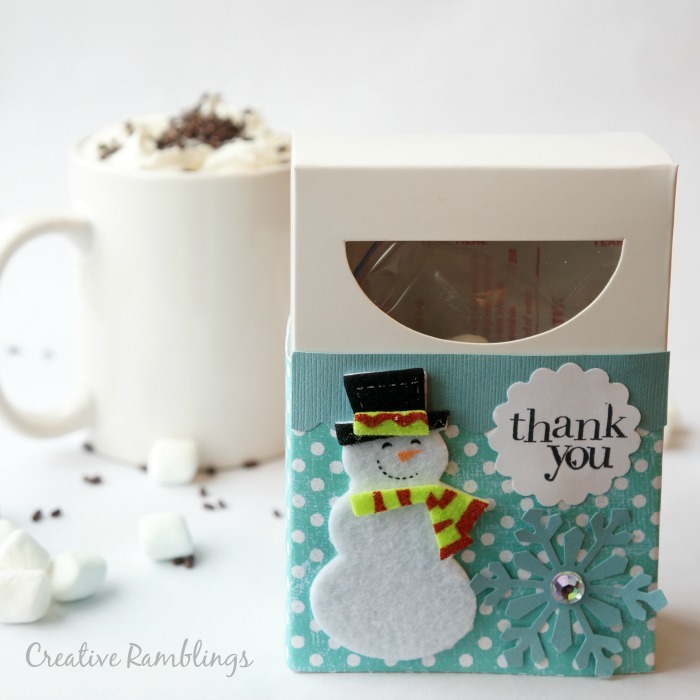 I would love to hand these out at any party….or give them as a teacher appreciation gift. Thanks for the awesome inspiration! You are so welcome, these would be fun as teacher gifts too! Love this idea! 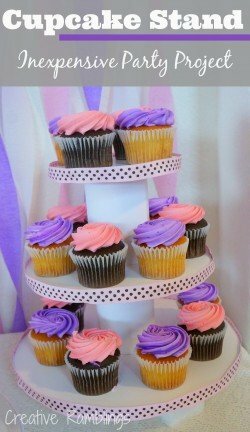 What gorgeous favors! Love Pick Your Plum! Great project and post! Just adorable! I know me too Michelle, thank you! Adorable! 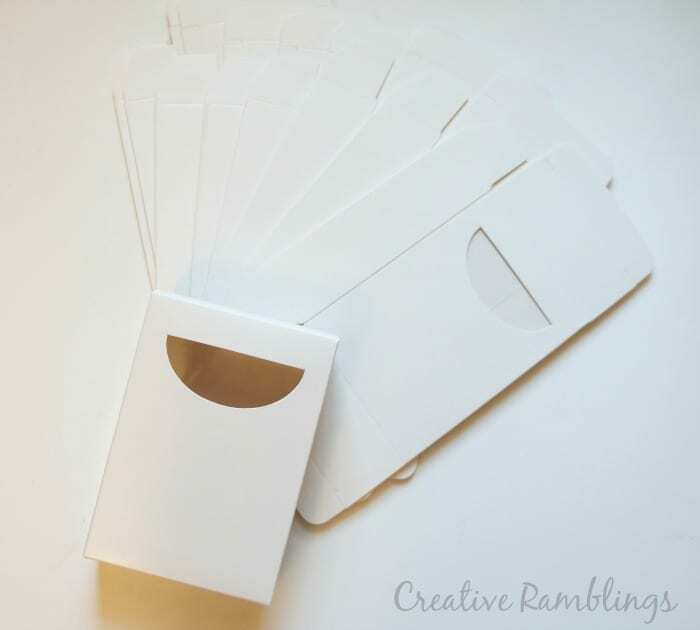 Pinned this idea for later!